Award winning radio presenter Marian Nyako-Lartey started her radio career at the University of the Free State in South Africa. Two years later she joined regional commercial station, OFM. After four years with the station, she joined Metro FM. 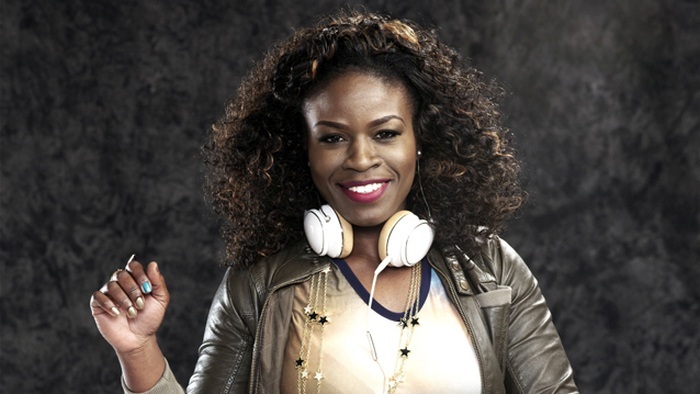 You catch Marian on the Urban Beat Saturdays from 22:00 - 01:00. In this interview, she shares her money habits. I try not to live my life according to the state of the economy but according to my own financial status. Not to say I completely ignore the economic climate, it benefits me to know what is happening but it doesn't rule my every financial move. Outside of the obviously high costs of bonds and vehicle finance, I would say I have noticed that groceries take a chunk of my income. The other day I tweeted how shocked I was to find that half a dozen eggs now cost between R17 - R18?! Such hard truths makes me wonder how those who scrape through month to month are able to afford basic foods given the constant price hikes. I am the last of three girls and there is a huge age gap between me and my two older sisters. They were the first people I looked up to outside of my parents. I had a very mature outlook on life and watching how my sisters were handling money, taught me that the more you save the more you won't pressure your parents to buy you stuff. And once you reach your financial goals, not matter how small they are, you feel a sense of accomplishment and nothing can replace that. How do you save money when income from working as a freelancer can be variable? I learnt form an early age that it is wise to save a percentage of what you receive. This has helped me now with saving large amounts especially given my chosen field. As a freelancer you can wake up tomorrow and have your life changed completely, and this could go either way, positively or negatively. I feel it is in every freelancers best interest to always prepare for the worst but at the same time not live your life in fear. Be balanced. Like everybody else, financial setbacks affect me negatively. I must stress though that I don't allow that sense of disappointment to take over for a long period of time. This is very important to guard against. I beat myself up, shake myself back into order then look back to where I went wrong, acknowledge it and then explore all areas to help me find my 'feet' again. No, I have not experienced this yet. I do have a strong sense that this will be happening once I marry and have made peace with the fact that it will most probably be a regular occurrence at that :). I also have not been turned down by banks should I need to apply for home loan or vehicle finance. I must also state that being an independent contractor doesn't make things easy but it is good to know that there are ways to overcome this. I guess this will differ from person to person but I understand financial independence to be that moment when you are able to afford all the basics which are needed to keep you afloat. There is something so liberating in knowing that you 'did it' and without making that phone call to a family member or friend for financial assistance. Why do you think women should care and take an active role in managing their money? I believe everyone who is of age, male or female, should care enough about their OWN financial status. For me, this is the first indicator of 'I care enough about myself' and if you are not there yet what are you actively doing towards moving in that direction. Do you invest in shares? Why? Why not? Yes I do invest in shares. I have always thought from an early age that once I get to a point in my life where after paying all my expenses I have something leftover then I should seriously consider investing. It is a great way to allow your money to work for you plus if you decide to take a more active role, you get to educate yourself on money trends and so forth. This can be both exciting and frustrating depending on your level of involvement. I would opt for buying a home first. I see it as a human need. We all need a roof over our heads. Shares are great as I have mentioned previously but it can also be a high risk venture. Your success or failure is always based on the markets so this instability for me is why I say house first. I am happy with where I am currently with my finances and if I get a chance to improve them I won't deny myself that chance. With this said, a comfortable retirement means being able to live the way I am living now. At the moment I continue to work on that vision. I do have the basics put in place e.g. policies and savings accounts. The worst money mistake I made was when I was a lot younger and received my first substantial salary which is what you're looking for when you live school. I realised that lenders are also looking forward to that moment too! I ended up falling prey to their marketing gimmicks and I believed that I have more money when I didn't, only to be hit with a hard reality 2-3 years later once all the bills have now added up from all directions. I was angry with myself for landing in that mess and all because of my own doing because of greed. This experience taught me to think more thoroughly before getting myself into certain contracts or purchases. I also learned that it's okay to say no to yourself at times and that you should always question yourself before parting with your money because if you don't, no one else will do that for you. I have saving and investment deposits set up monthly. Even though I have these in place it doesn't mean I have a license to misuse what I have leftover. I constantly make mental calculations which always helps me from overspending unnecessarily. This doesn't mean that I always tip toe around my own money. I have days where I will go out and spoil myself. I believe in balance. I usually find myself splurging on shoes! And if I am not spending on shoes, I tend to spend on people and this is one of my weaknesses. I tend to care more than I should about people. Hmmmmm...usually when this happens, I get angry and soon get over it in order to forget so I can move on because I feel what's done is done. What are your rules for lending money to friends or family? I know for most people asking for money is not an easy thing to do. This can be said for a lot of my family and friends, so I class them into two brackets, those who find it easy to ask and those who find it very difficult to ask. This helps me with the amounts I give and where I to draw the line. Do you and your women friends talk about money? Yes, we do. We talk about money and the difficulties we tend to find ourselves in today. People will rather appear to be on par with society than admit that they have financial struggles. My friends and I also encourage each other to keep on going and genuinely congratulate one another on our various milestones that we achieve. When it comes to giving, how do you decide where to allocate your money? The first thing I ask myself before committing is, does it resonate with me? Can I relate to it in some form or another? If so, then I'm happy to help make a difference. I've received quite a number but the one which always pops up is, "work hard now so you can enjoy later". I have found though that the older I become the more I get to understand that the "later" is relative. The later could be once you knock off, in a weeks time or even in a years time. It is all up to you and your readiness and the ability of your resources to match it.